Netflix targets 128m subscribers by 2022 | What Hi-Fi? Research suggests the video streaming service is on course for a growth of up to 44 per cent on its subscriber base over the next five years. Netflix recently passed 100 million subscribers worldwide, but its growth doesn't appear to be slowing down. According to one research firm, the company is on track to have 128 million customers by 2022 - a 44 per cent growth on its total at the end of 2016. Dublin-based market research firm Research and Markets predicts that in early 2018, the streaming service will have more international customers than in the US. 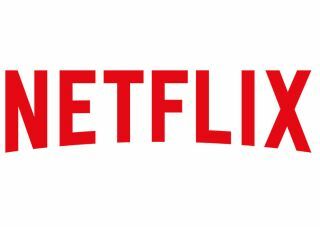 The report says that, by 2022, North America and Western Europe will supply 72 per cent of Netflix's total subscribers. That would be down from 81 per cent in 2018. Huge growth is predicted for the Asia Pacific region, where the number of subscribers is expected to almost triple to more than 10 million. Netflix now operates in over 190 countries around the world. In January last year, it rolled out to 130 countries at once. These countries combined will contain more than 14 million Netflix customers by 2022, the report says, up from three million at the end of 2016. The 14 million figure would be 11 per cent of Netflix's global total. By 2022, 17 countries will have more than 1 million Netflix subscribers each, up from 10 countries at the end of 2016. Revenues are also expected to rise. They're predicted to go from $8.3bn in 2016 to $14.9bn in 2022.